Dato' Lee Chong Wei is a professional Chinese Badminton player of Malaysian origin. Lee is a singles player. He is the third Malaysian player to be rated ‘first’ for 199 consecutive weeks across the globe and the only one to remain in the ‘number one’ slot for over a year. Lee is an Olympic medal winner for 2008 and 2012 Olympic Games. He was the only Malaysian to qualify for the ‘men’s singles’ in the Olympics. He was honoured with the title of ‘Dato’ by the Malaysian Prime Minister, who called him a ‘national hero’. 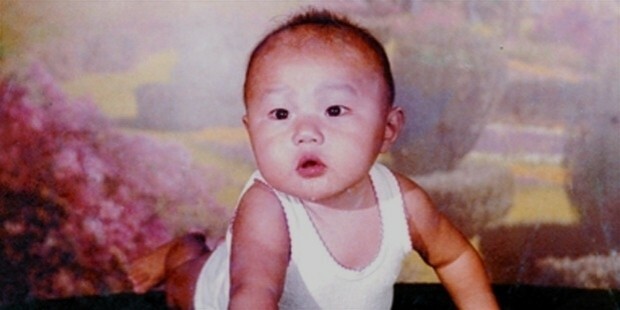 Lee was born on October 21, 1982 in Bagan Serai, Perak. Lee started to learn Badminton from the age of eleven. He underwent coaching after school. Lee was spotted by Misbun Sidek and drafted in to the national team at 17-years of age. Lee Chong Wei made a slow start in his career as a Badminton player. He won two titles in 2004; the Malaysia Open and the Chinese Taipei Open. He made his first appearance in the 2004 Olympics. He secured two titles, Malaysia Open and the Denmark Open in 2005. He won the ‘Bronze’ in the World Championships 2005. Lee was well on his way to achieving victory. He was conferred the winner of the Swiss Open and the Asian Badminton Championships. He won his third Malaysian Open. Lee did his country proud in the Commonwealth Games 2006, winning two ‘gold medals’ in the ‘singles’ and ‘mixed team’. Lee was rated twice at the ‘top’ in the Badminton World Federation's world rankings. Lee won the Indonesia Open crown, the Philippines Open, the Japan Open, and the French Open in 2007. Lee was the undisputed winner of the Sudirman Cup. Adding another feather to his cap, Lee won his fourth Malaysian Cup in 2008. He bagged his seventh consecutive victory at the National Badminton Grand Prix Final 2008. Lee won a title in the Super Series Masters Finals. Success smiled on Lee Chong Wei when he won the Swiss Open defeating his Chinese Opponent Lin Dan for the first time outside the home turf in 2009. He bagged his fifth Malaysian Open title. Lee won the Indonesia Open, the Malaysia Open Grand Prix Gold, the Macau Open and the Hong Kong Open in 2009. Lee made his first landmark in the Super Series titles. It was no major feat that he won the All England Open, the world’s most esteemed badminton championship; his first. Lee bagged the only title not won by Chinese players, when he defeated Lin Dan in the Japan Open. The year 2010 was quite eventful for Lee Chong Wei. He won the ‘Gold Medal’ in the Commonwealth Games, 2010 and a ‘silver medal’ in the Asian Games. Lee bagged his second consecutive Hong Kong Open title and third consecutive Super Series Master Finals title. Lee was recognised by Prime Minister Najib Tun Razak for winning the All England Open for the third time in a row in 2011. He tasted success for the first time in India Open. Lee became the first non-Indonesian player to win the Indonesian Open for three consecutive times. 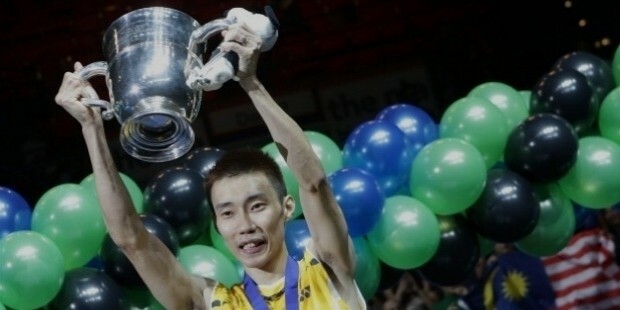 Lee Chong Wei won a ‘silver medal’ in the Olympic Games 2012. Lee won the ninth Malaysian Open title in 2013 and beat the record of maximum number of home titles held by Wong Peng Soon. He bagged the Masters Finals title for the fourth time in the Super Series tournament. Lee won his tenth Malaysian Open title in 2014. He grabbed the Japan Open for the third year in a row. Lee won the US Open, Canada Open and the French Open in 2015. He won his first China Open title by defeating Lin Dan, his arch rival. This was Lee’s first victory over Lin Dan on Chinese soil. Lee became the first Badminton player in men’s singles to win all the titles of the Super Series. At the Rio Olympics, 2016, he shrugged off eight years of Olympic heartbreak to defeat China's Lin Dan 15-21, 21-11, 22-20 and reach the final of the men's badminton. But in the final, China’s Chen Long ended Lee Chong Wei’s final bid for an Olympic gold medal, scoring a close 21-18, 21-18 victory. 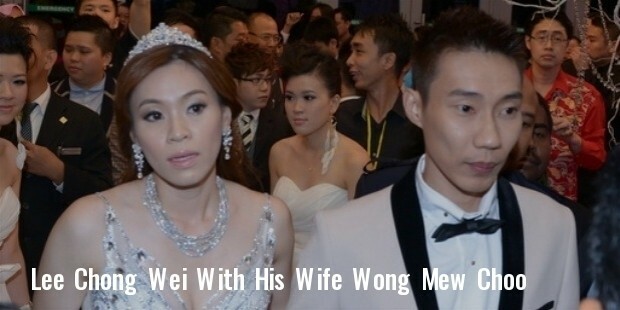 Lee Chong Wei was involved in a love affair with his team-mate Wong Mew Choo. The couple broke up in 2009 but came back together in 2012. They tied the knot the same year. They have two children, Kingston and Terrance. Lee wrote his autobiography, “Dare to be a Champion”, published in 2012. He aspires to- “demonstrate my best both during training and matches, spreading interest in badminton”. Lee won the silver medal in the Olympic Games 2008 and 2012. He was accorded a life-time pension of RM 3,000 a month. Lee was honoured with a Darjah Setia Pangkuan Negeri (DSPN), symbolising the title Dato' by the Penang Governor, Tun Abdul Rahman Abbas. Lee was made the Malaysian National Ambassador for UNICEF in 2009. He was conferred the Darjah Bakti (DB) award, from Tuanku Mizan Zainal Abidin for his accomplishments in the Olympics 2008. Lee was made the Ambassador for the KDU University College in 2011. Lee won the Penang Sportsman Award in 2005 and six times consecutively from 2007 to 2012. He was awarded the National Sportsman Award and the BWF Player of the Year Award four times. Lee bagged the TYT Prime Award Trophy and the Olympian of the Year Award thrice and twice respectively. He was conferred the Sportswriters Association of Malaysia (SAM) Award in 2008. Lee was named the Most Popular Icon on Television Award by RTM in 2013.